FUNCTION FOLLOWS FORM at the Rigid String Level, with a Pairing-Splitting Dark Matter Black Hole . : The Virgo scandal solved by dual solar polar Herbig Haro black hole hotspots. The Virgo scandal solved by dual solar polar Herbig Haro black hole hotspots. 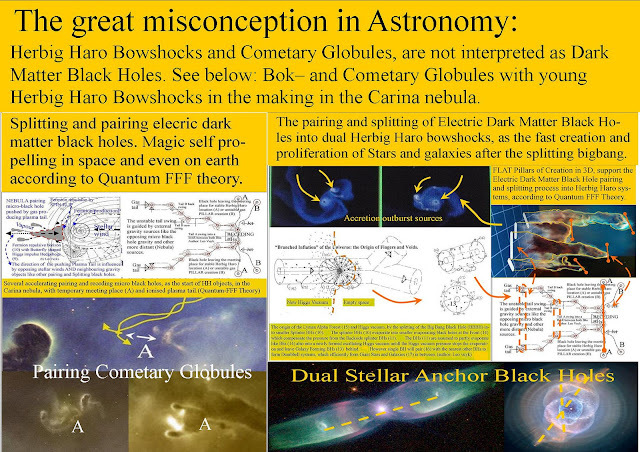 The Virgo scandal solved by two local hotspots created by dual solar polar Herbig Haro black hole hotspots. According to new Spacetime polarization butterfly profiles around black holes in combination with propeller shaped string effect on repelling Fermions..
https://arxiv.org/pdf/1805.01572.pdf called "Where are the Ultra High Energy Cosmic Ray (UHECR) originated?" You wrote: under 2. 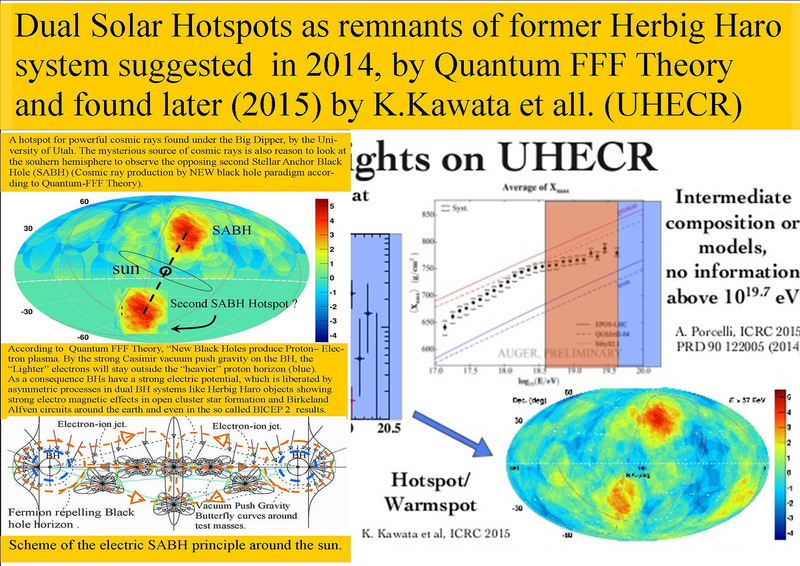 "The Virgo Absence and the two Hot Spots"
"The Virgo UHECR event absence was (and still remains) the first and main Auger cosmic lesson recorded from more than a decade." "This remarkable Virgo absence is the Rosetta stone that forced us [ref.19], a decade ago, toward the lightest  UHECR nuclei nature. Indeed we suggested the presence of a severe filter to stop the expected Virgo abundant UHECR events"
"Dual Solar Anchor Black Holes or Herbig Haro hotspots, the origin of quick star formation."